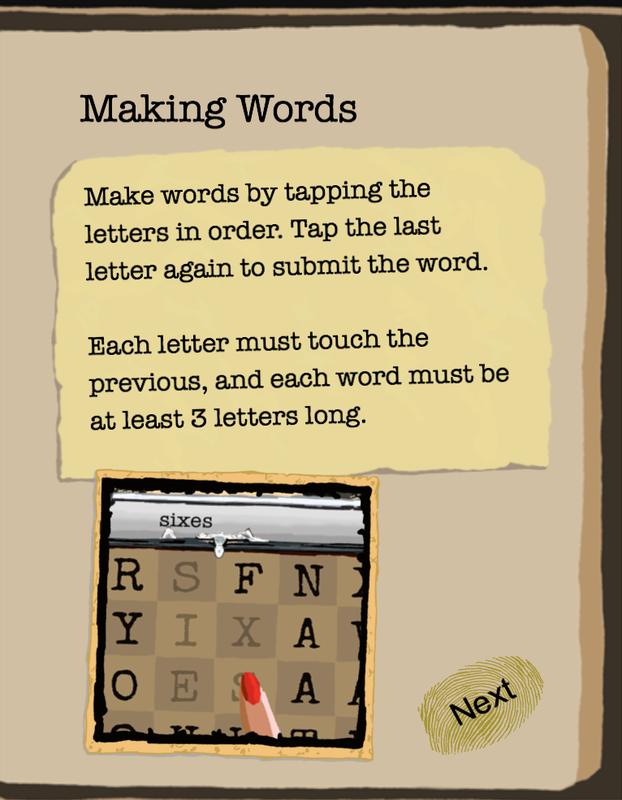 Make words by tapping a series of adjoining letters. 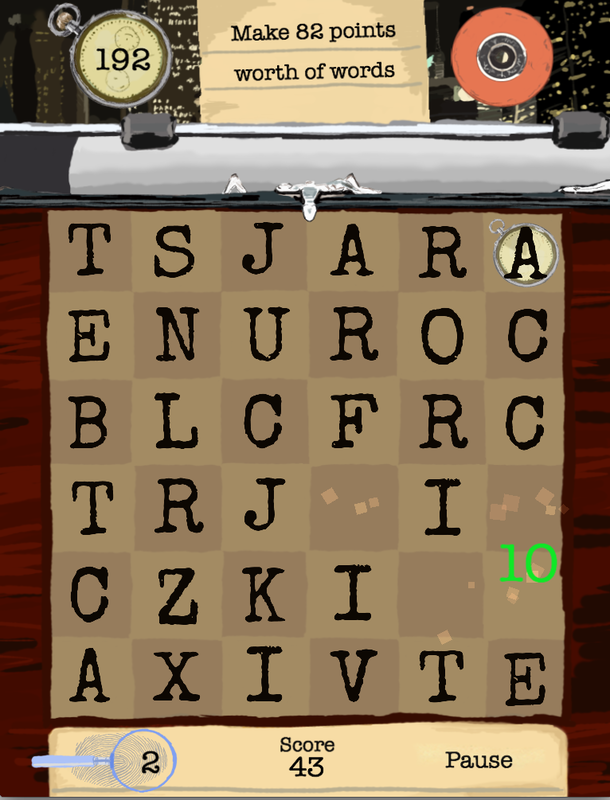 The letters can zigzag around the board. 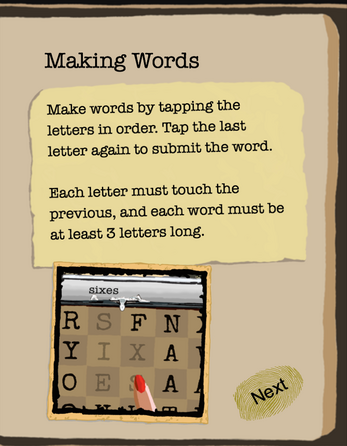 Tap the last letter twice to submit the word and score the points. 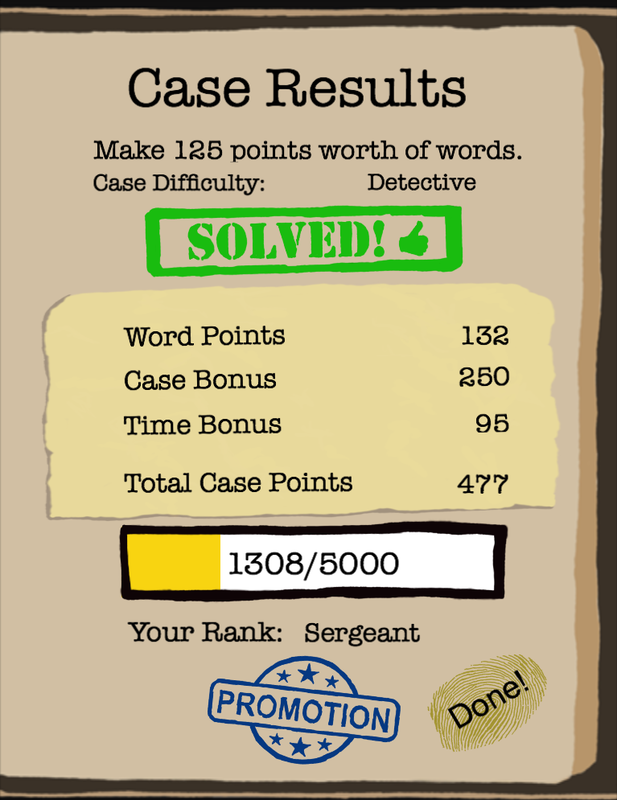 Work your way through the detective ranks, tackling more challenging cases! Solve a variety of different challenges. 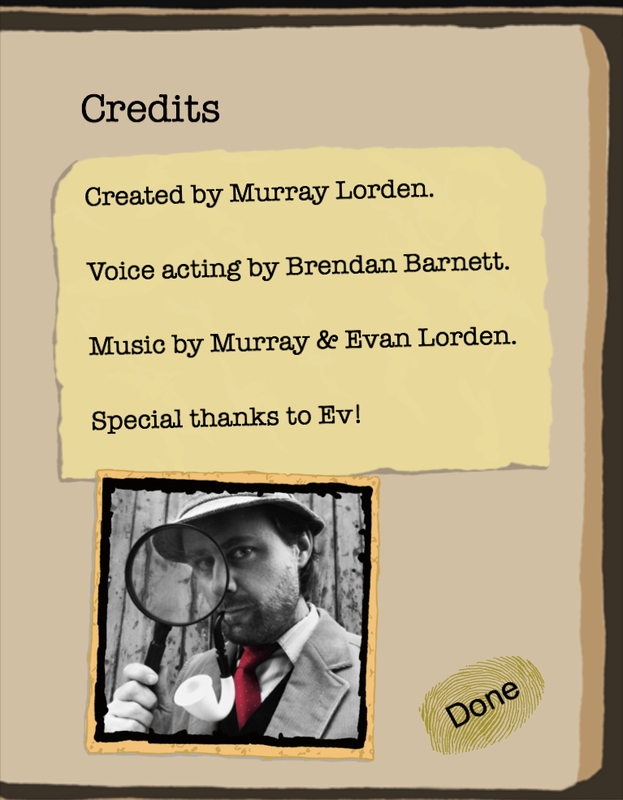 Use the letters with a CLOCK to give yourself a time bonus. 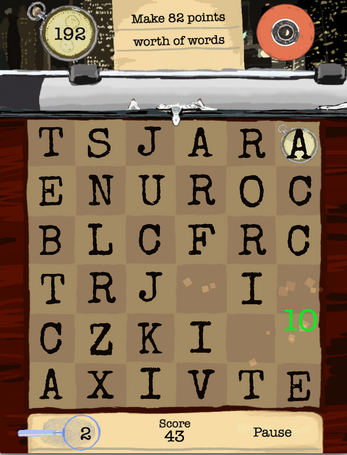 Use the letters with a MAGNIFYING GLASS, which can then be used to shuffle the board. Remember, you can always go at your own pace! 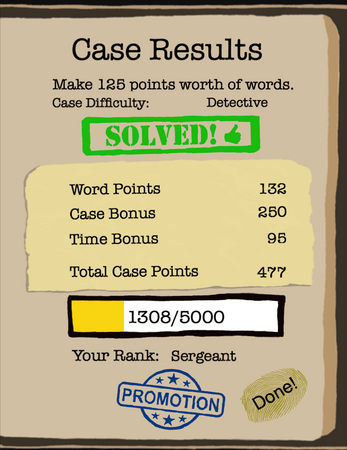 Every case solved will earn points, and there's no rush to do the harder cases. 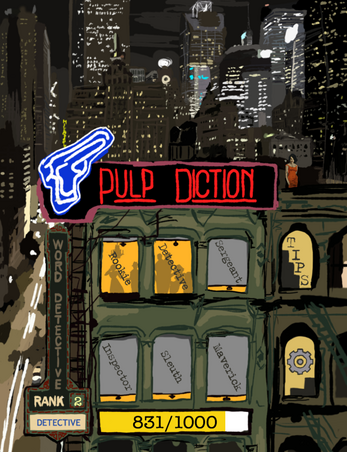 Pulp Diction was created by Murray Lorden, a game developer from Melbourne, Australia. Thanks for your interest Bonehead! Unfortunately, I was making my earlier games in Game Salad, and it (lamely) doesn't output to Windows! I would output to Windows for sure, if it supported it. I'm making my future games in Unity, and other things. But alas, Pulp Diction is stuck in Mac / iOS land. 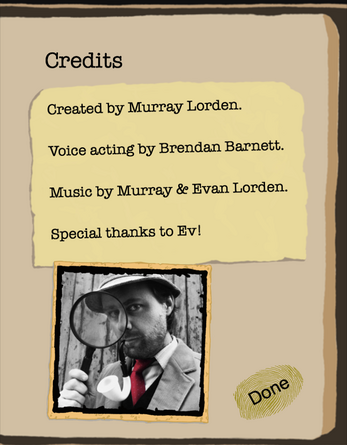 You can get it for free on iPhone and iPad if you want to play it there!